Trump is barreling toward war with Iran. Congress must act to stop him. Tom Udall, a Democrat, represents New Mexico in the U.S. Senate. Richard J. Durbin, a Democrat, represents Illinois in the U.S. Senate. Sixteen years after the U.S. invasion of Iraq, we are again barreling toward another unnecessary conflict in the Middle East based on faulty and misleading logic. The Trump administration’s Iran policy, built on the ashes of the failed Iraq strategy, is pushing us to take military action aimed at regime change in Tehran. We must not repeat the mistakes of the past, and Congress must act urgently to ensure that. Mr. Fish, also known as Dwayne Booth, is a cartoonist who primarily creates for Truthdig and Harpers.com. Truthdig columnist Chris Hedges is a Pulitzer Prize-winning journalist and New York Times best-selling author. The most dangerous foreign policy decision of the Trump administration—and I know this is saying a lot—is its decision to share sensitive nuclear technology with Saudi Arabia and authorize U.S. companies to build nuclear reactors in that country. A nuclearized Saudi Arabia is a grave existential threat to the Middle East and ultimately the United States. Cold Start is Indian military doctrine aimed at punishing Pakistan without a full-blown nuclear clash. NEW DELHI: A nuclear strike is always the threat Pakistan holds out against any possible Indian attack. Recently, after India declared it would avenge the Pulwama attack, Pakistan Rail Minister Sheikh Rashid Ahmad again threatened of a nuclear strike after which “neither the birds would chirp nor the bells would ring in temples”. But India has an answer to this threat — a Cold Start. It is a war doctrine aimed at punishing Pakistan without a full-blown nuclear clash. A Russian military officer walks past the 9M729 land-based cruise missile. The United States and Russia have ripped up a Cold War-era nuclear missile treaty, leaving analysts fearing a potential arms race with global ramifications. Last week, Russian President Vladimir Putin said Russia was ready for a Cuban Missile-style crisis if the US wanted one, referring to the 1962 standoff that brought the world to the edge of nuclear war. Decades later, tensions between the two nations are heating up again. Today, Representative Adam Smith (D-WA), Chairman of the House Armed Services Committee, and United States Senator Elizabeth Warren (D-MA), a member of the Senate Armed Services Committee, introduced the bicameral No First Use Act, to establish in law that it is the policy of the United States not to use nuclear weapons first. 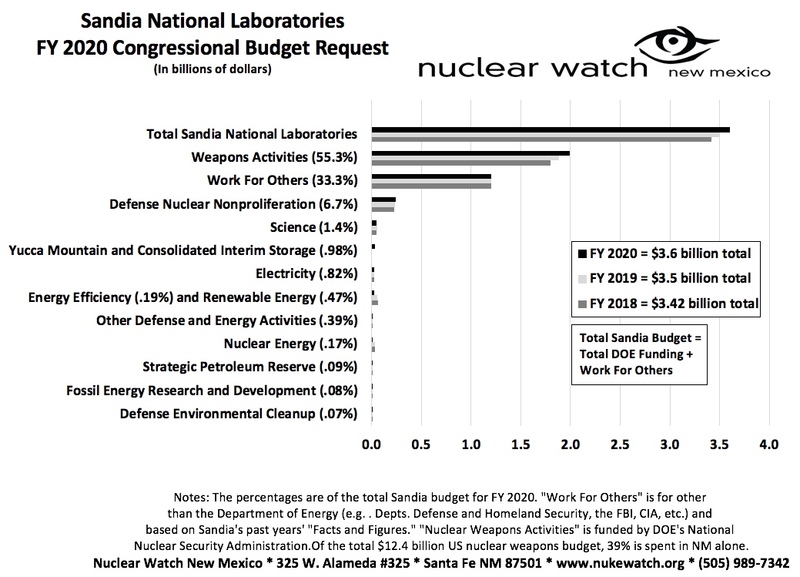 At some point, DOE will have to admit that it has no idea what it will cost to cleanup the Cold War nuclear weapons complex sites. DOE should stop making more wastes until the existing wastes are remediated. The new estimate is more that twice the amount that has been spent in total since cleanup began in 1989, with the most difficult sites still to come. We’ve said it before and we’ll say it again – Clean Up, Don’t Build Up! The thing is that the new $377 billion estimate includes leaving much of the waste behind. Program-Wide Strategy and Better Reporting Needed to Address Growing Environmental Cleanup Liability GAO-19-28: Published: Jan 29, 2019. Publicly Released: Jan 29, 2019. The Department of Energy is tasked with cleaning up waste from Cold War nuclear weapons production, much of which is hazardous or radioactive. The department’s Office of Environmental Management estimates that future work could cost at least $377 billion—$109 billion more than last year’s estimate. state agreed to allow the U.S. Department of Energy to change how it calculates the amount of waste stored underground at WIPP. CBO projects $494 billion (in then-year dollars) in spending to sustain and modernize U.S. nuclear forces between FY 2019 – FY 2028 ($559 billion if you attribute 100% of the costs of strategic bombers to the nuclear mission). This is a major increase of $94 billion (or about 23%) above the projection of $400 billion in the last ten-year report covering FY 2017 and FY 2026. The report also includes an estimate of the projected cost of some of the additions in the Trump NPR (the LYD5, a new SLCM, and increased pit production), which CBO puts at $17 billion through FY 2028. The increase from the 2017 to the 2019 reports is due to several factors, including the report captures two additional years in the late-2020s when modernization is in full swing, the costs of some of the additions from the Trump NPR, and increases in the projected costs of some programs. Overall the report highlights the growing cost of nuclear weapons, even relative to earlier projections, and reinforces the message that the Trump plans are unnecessary and unsustainable and that less expensive alternatives are available to sustain a credible arsenal. ICAN (International Campaign to Abolish Nuclear Weapons) believes that the success of people-powered change and the leadership of the majority of nations supporting the TPNW is a positive development these last years. ICAN’s success and the TPNW is a turning point for the world, and we will be working to turn it backwards from now. – The success of the Treaty on the Prohibition of Nuclear shows that the vast majority of nations are taking action to solve the problem of nuclear weapons. – A global movement against nuclear weapons is starting to turn the tide against nuclear weapons. – Nuclear weapons are inhumane weapons of mass destruction that targets civilian populations and their use will violate international laws. The threat of Doomsday will exist until we eliminate these weapons. It is the only sane thing to do. – Trump has proven that when it comes to nuclear weapons agreements he is a wrecking ball not a builder. By undermining the INF treaty, the United States and Russia must stop celebrate their ‘Doomsday’ capabilities and return to the negotiating table to stop the new nuclear arms race. – A new nuclear arms race between the US and Russia threatens the cities of Europe. This is the moment for Europe to show leadership by ending their obstruction to the Treaty on the Prohibition of Nuclear Weapons and make it clear they will not participate in a new arms race. The risk to global civilisation from nuclear weapons and climate change remains at an all-time high, according to a group of prominent US scientists and former officials, who said the world’s predicament had become the “new abnormal”. Nuclear watchdog organizations filed an appeal Thursday of a state Environment Department-approved permit change they say could allow for 30 percent more nuclear waste to be held at a Southern New Mexico storage site. The request for a New Mexico Court of Appeals review of the agency’s decision in December, which alters procedures for measuring the volume of waste at the Waste Isolation Pilot Plant near Carlsbad, was filed on behalf of Nuclear Watch New Mexico and the Southwest Research and Information Center. The groups allege the permit change violates federal law by allowing plant managers to recalculate the amount of nuclear waste buried underground at WIPP without going through Congress. The move subtly sidesteps nuclear waste limits outlined under the 1992 Land Withdrawal Act, the groups say. Nuclear waste drums stored at Area G at Los Alamos National Laboratory in 2003. Cindy Mueller/ SF New Mexican file photo. An 85-gallon drum of radioactive waste leaked into its secondary container. Nearly two dozen waste containers were either mislabeled or not labeled at all. Officials failed to conduct mandated hazardous waste inspections. 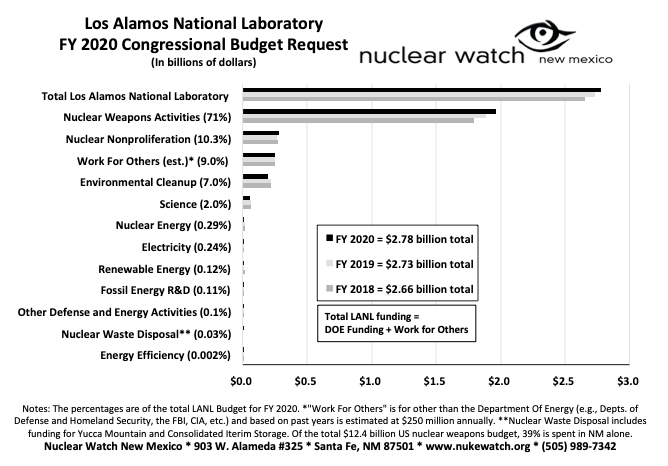 During Los Alamos National Laboratory’s most recent fiscal year, officials logged 69 instances of noncompliance with the federal permit that allows the facility to store, manage and treat hazardous waste, according to a newly released annual report that details the violations. The Northern New Mexico Citizens Advisory Board is asking Department of Energy (DOE) Environment Management and New Mexico Environment Department to address the potential impacts of the possible redefinition of high-level radioactive waste (HLW) for the board. A public hearing being conducted by the New Mexico Environment to consider the ground water discharge permit for Los Alamos National Laboratory headed into its second day Thursday in the Los Alamos Magistrate Courtroom. On Wednesday, public comment was heard throughout the day from members of the public, tribal representatives, public officials and watchdog groups such as Nuclear Watch New Mexico. The former Rocky Flats plutonium plant that encountered fires and radioactive spills is now open as a wildlife refuge in Colorado. The U.S. Fish and Wildlife Service opened the gates of Rocky Flats National Wildlife Refuge on Sept. 15 near a former Environmental Protection Agency superfund site which used to house a plant that manufactured plutonium triggers for nuclear bombs for nearly four decades, the Associated Press reports. Three nuclear watchdog groups across the U.S., including Santa Fe-based Nuclear Watch New Mexico, are accusing the National Nuclear Security Administration of creating a plan to increase production of plutonium bomb cores in violation of an environmental law. “American nuclear bombs are still stationed in Europe. In Germany alone, up to 20 B-61 weapons are stored on a German airbase in the village of *****.